The trailer is finally here for Martin Scorsese’s ‘The Wolf of Wall Street‘, which stars Leonardo DiCaprio, Matthew MacConaughey, Jonah Hill, Rob Reiner, Jon Bernthal, Jean Dujardin, Kyle Chandler, Jon Favreau, Ethan Suplee, Spike Jonze, and Margot Robbie. 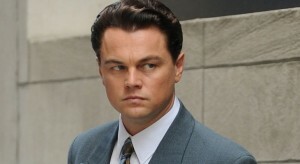 The film is based on Jordan Belfort’s novel of the same name. This looks so good and will be released on November 15th, just in time for the holidays. This entry was posted on Monday, June 17th, 2013 at 11:48 am	and is filed under Film, News. You can follow any responses to this entry through the RSS 2.0 feed. You can skip to the end and leave a response. Pinging is currently not allowed. « DreamWorks Animation Inks Deal with Netflix for Original Programming!! You're going to kill me? No, I'm not going to kill you. Why would I want to kill you?